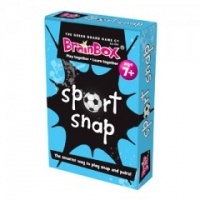 A great visual resource, fun to play and effective for developing working memory. Did you know table tennis has 300 million players worldwide? Or that the first Rugby World Cup was won by New Zealand? 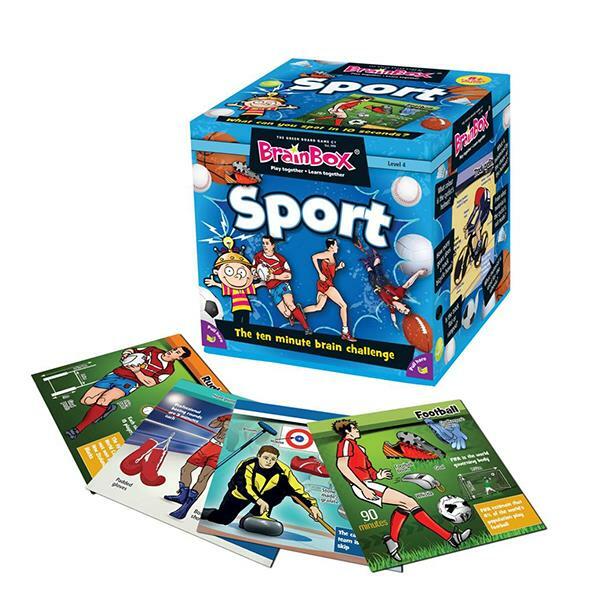 This BrainBox includes fascinating facts about almost every sport you have heard of and maybe a few you haven't! The game play is to study a card for 10 seconds and then answer a question based on the roll of a die. If the question is answered correctly, the card is kept, and the person with the most number of cards after 5 or 10 minutes is the winner. Games to learn Sports Facts.